Contest: Submit your Greatest Comeback Videos for a Chance to Win! The Guardian Emerges: the Epic ‘Anubis’ Baptiste! Tony is a dwarven brawler who taunts and pummels enemies. Lock down your opponents to help your team land devastating wombo combos, or use his abilities in quick succession to deal massive damage. Tony is unlockable with ICE only for the first seven days; alternatively, get him and his brand-new ‘Steam Knight’ (Rare) skin in a bundle for 1275 ICE, a 15% discount off the ICE price of both. After the first seven days, you’ll be able to unlock Tony with ICE or Glory. 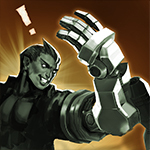 When Tony receives damage, he gains a health barrier for a short duration. Once activated, this ability will go on cooldown. Tony’s next three basic attacks are empowered. These attacks launch Tony toward his target, dealing bonus damage. The third attack is a two-handed strike that will stun his target. Tony also gains a decaying move speed bonus when activating this ability. Tony hurls insults in the target direction. All enemies hit receive damage and are forced to attack Tony. This also resets the cooldown of Come At Me, allowing it to trigger again. Tony gains damage reduction while taunting. The duration is further increased with weapon power up to a max. Tony winds up, then dashes to target location, releasing a massive spinning uppercut. 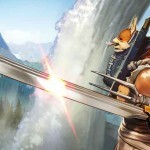 This colossal punch deals crystal damage and knocks away all enemies caught in the area. 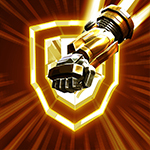 Tony gains bonus attack speed and increased health barrier from Come At Me (Heroic Perk). Tony’s Jawbreaker (A) now deals damage in an area around the target. Tony takes no damage from taunted targets. SEASON TRANSITION: SPRING IS HERE! Your rank will be reset, with bonus progress granted based on past performance. See your Winter 3v3 rank on the match loading screen. Moving forward, season transitions will impact Ranked progression for both 3v3 and 5V5. Open the Vainglory app each day during Halcyon Days to claim your free reward. A “new day” begins at 5PM PDT each day. If you’ve supported Vainglory with a real-money purchase in the past 30 days, you’ll get a special bonus reward in addition to the original login reward! Before you ask … YES, if you make a real-money purchase of any amount during the Halcyon Days event, you will instantly become eligible for the bonus rewards. In this scenario, you may need to “refresh” your state by opening your profile and then returning to the Halcyon Days event page. Simply tap on your player name in the upper-left corner of the screen to get to your profile. That should refresh you and ensure your eligibility for instant bonus rewards. Scrolling through heroes now reveals hero names. Hero roles are now categorized by three roles: Captain, carry and jungle. Tap a category to find the hero you want to play. The 3v3 blind lobby now replicates the 5V5 blind lobby. Awarded to anyone who played at least one 5V5 match during Update 3.0. Show off Founding badges on the loading screen before each match. The Horus King has called the Sun God for help, but to escape the Lost Temple, they must face the Guardian: ‘Anubis’ Baptiste! Read the full ‘Anubis’ Baptiste article & lore here. New players now have the option to bypass the tutorial if they are seasoned in the dark arts of the MOBA. Players in the Low Priority Queue for bad behavior can no longer play in Ranked game modes until LPQ requirements are satisfied. 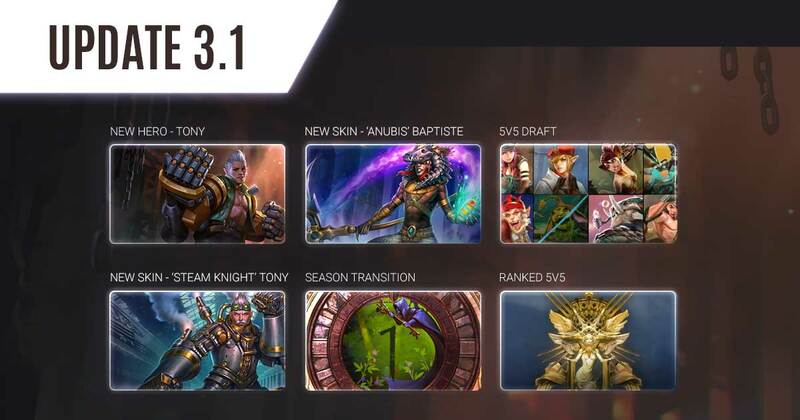 Balance changes are now published as a separate article, which will be highlighted in the TODAY IN VAINGLORY popup and the NEWS section of the app. Ability icons will now always display the winding timer for its cooldown, even while crowd controlled or out of energy. Global abilities now indicate more clearly that they are pending activation. 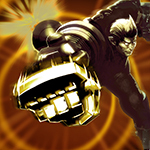 This impacts Kestrel, Baron, Celeste and Teleport Boots. The empowered basic attack from Catherine’s Merciless Pursuit now properly triggers the on-hit effect from her Quick Pursuit talent. 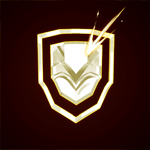 Catherine no longer generates Captain of the Guard stacks for failing to stun/silence enemies who are Reflex-Blocking. Celeste’s Heliogenesis will now play an additional sound when it hits an enemy. Fixed an issue where Crystal Orbs picked up by an enemy hero would grant the Weapon Orb powers (oops!). Fixed a bug where Baptiste’s Bad Mojo could generate a soul fragment from enemies without dealing damage to them. Baptiste’s Bad Mojo damage radius now more clearly reflects the visuals. Baptiste’s abilities now function more consistently for when they generate a soul fragment and when they don’t. 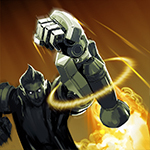 While empowered, Baptiste fires “empowered” abilities and basic attacks, which do not generate souls. 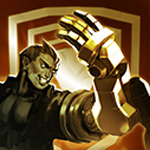 While unempowered, Baptiste fires “unempowered” abilities and basic attacks, which do generate souls. Fixed a bug where spawn camp Mini-map icons would not disappear if you killed its minions out of sight of the center of the camp. Fixed a bug where Taka’s dodge text did not show up when using Kaiten to pass through the edge of Bright Bulwark. Fixed a bug where Gwen’s Skeddaddle buff icon did not appear when activating the ability. 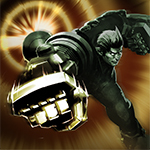 Go play Tony and try out 5V5 Ranked with Draft and tell us what you think! ‘Shiro Kage’ Taka Skin Reveal!